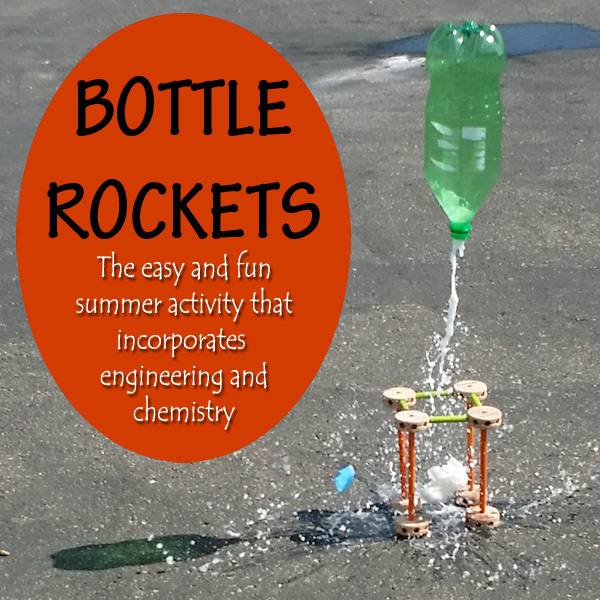 Bottle Rockets - Engineering & Chemistry Summer Science Fun! Bottle Rockets. Those two simple words turned a boring summer day into one filled with, fun, excitement and learning. I’m not sure if your kids are getting a bit bored this summer, but recently when my boys were complaining I mentioned those two little words and suddenly everything changed! As soon as they heard that there would be rockets, chemistry and explosions (well kind of! ), they were very enthusiastic. This was our first time trying a bottle rocket and I had to really scramble to find all the equipment. The main thing I was missing was a cork for the bottle, so I used a piece of pool noodle cut down to size. After ensuring we had all the right pieces I set the boys to work building a launch pad with Tinker Toys . I told them to make sure their bottle rocket launch pad was very stable to support the rocket when it blasted off and that the size had to be big enough to hold an upside-down bottle without it falling through. The boys took a few quick measurements of the bottle, then built the structure, but quickly decided it needed better support on the base and added extra feet for stability. After testing it out, they were happy with their construction and we were ready to launch! Place about 3/4 to 1 cup of vinegar in the bottle. Place about a tablespoon of baking soda in a small piece of paper towel that you fold up so it slips into the bottle fairly easily. Insert the baking soda package into the bottle and put in the cork. Turn it upside-down and place it on the launch pad. Then step back! It is best to do this in an area where there is a lot of space and make sure you stand way back. You never know how far it might launch. Our pool noodle cork did not do a great job of holding in the reaction, so our launches were not very high. But next time we will have some corks on hand so we can see how much height we can get! 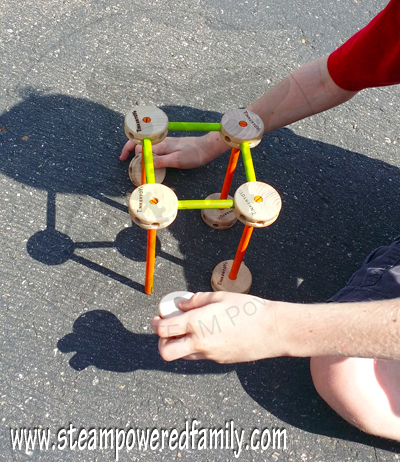 ~ We explored the engineering requirements and measurements needed to make the base functional. ~ The chemical reaction between baking soda and vinegar is always a favourite. I think Jackson is ready to start getting into more detailed work on the chemistry end, but for now we only examined how the reaction was releasing gases. He is just starting to read the Basher Science book, Chemistry. I think next time we do this there will be a lot more discussion and questions around the chemical reaction. 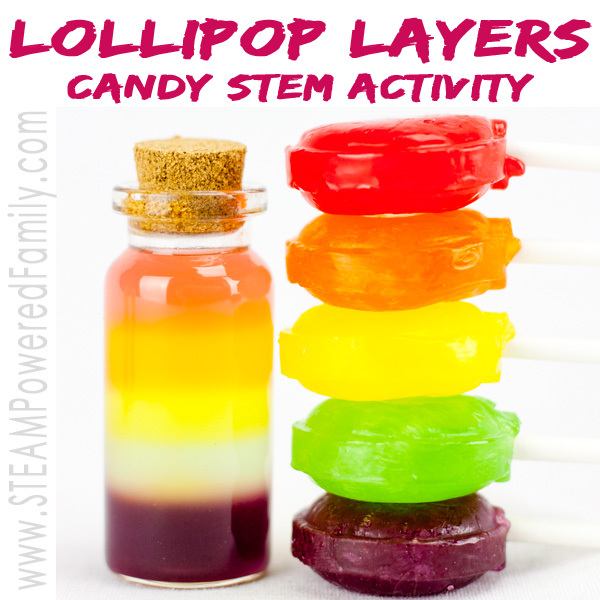 ~ The next step was to talk about how those gases built up in the bottle causing pressure which is what eventually caused the stopper to get pushed out rapidly causing the launch. ~ We also talked about how the pool noodle was not very good at creating a strong stopper, so it gave under pressure very quickly. Less pressure built up means less reaction and power for the launch. Then we decided a cork would be needed for next time so we can get more pressure build up and some serious air time! Overall this was a great experiment considering we threw it together with no notice. 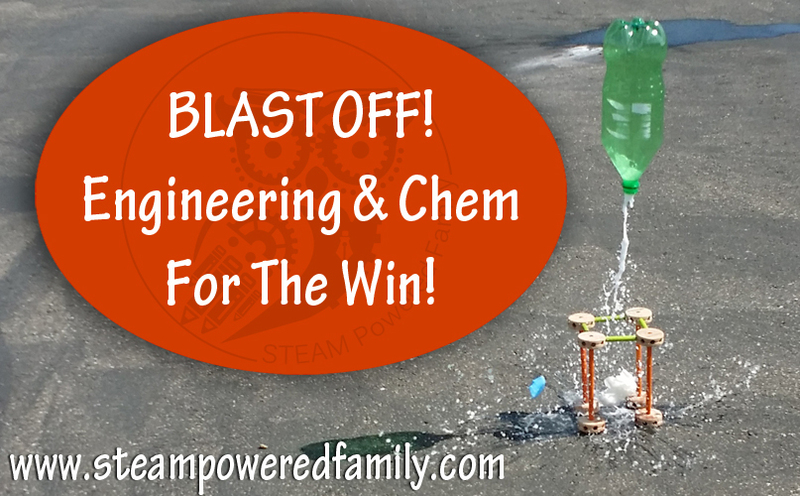 Check out what happened when we powered up our Bottle Rockets on the second try! 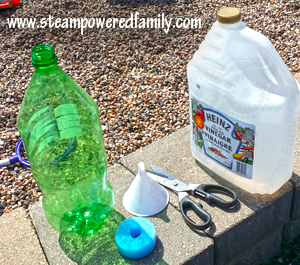 Have you ever built a bottle rocket? 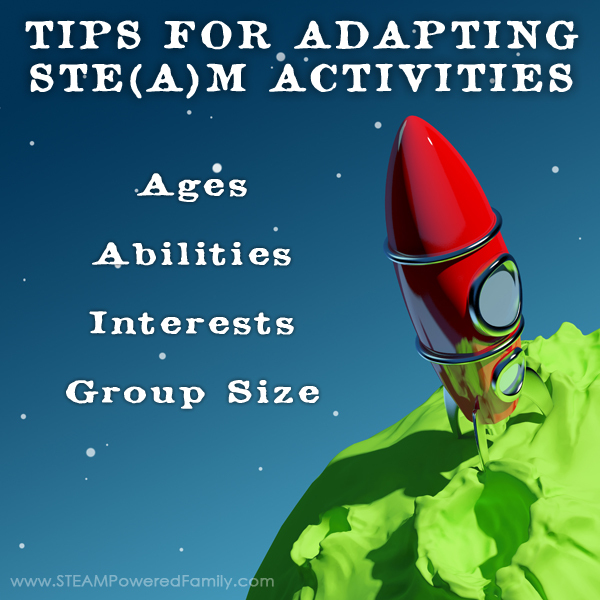 This activity was featured in the amazing new book STEAM Kids. 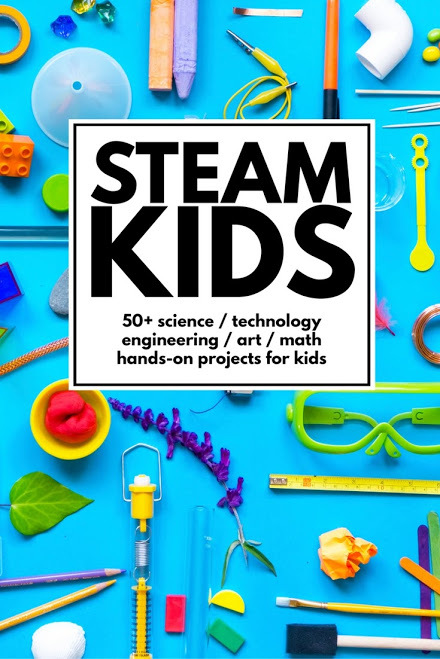 Over 50 STEAM projects that will inspire and WOW your kids! This looks like a lot of fun. 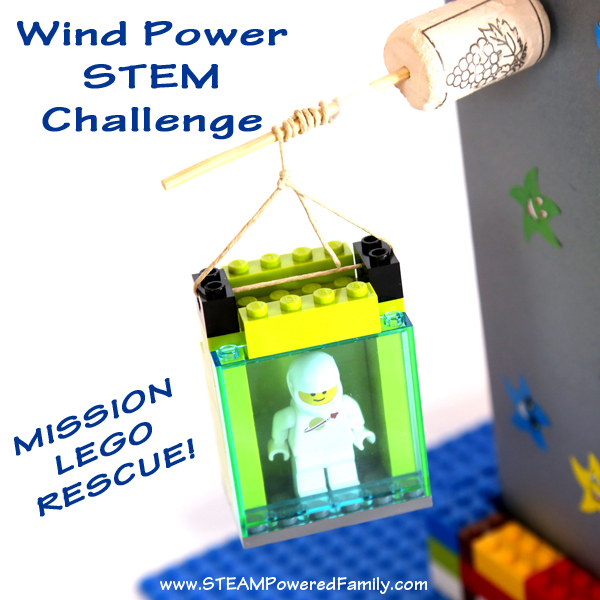 My boys will be wanting to try this asap! This looks like a lot of fun! My daughter is loving baking soda and vinegar experiments right now so this one would surely be a hit! So glad you like it! Let me know how your guys enjoy it. Love this too! yay for tinker toys right?!?!?! 😉 Thanks for sharing and linking up at Favorite things Friday! 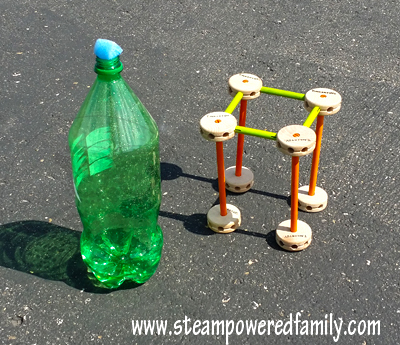 Tinker toys are the BEST! what size cork will I need for the 2 liter? 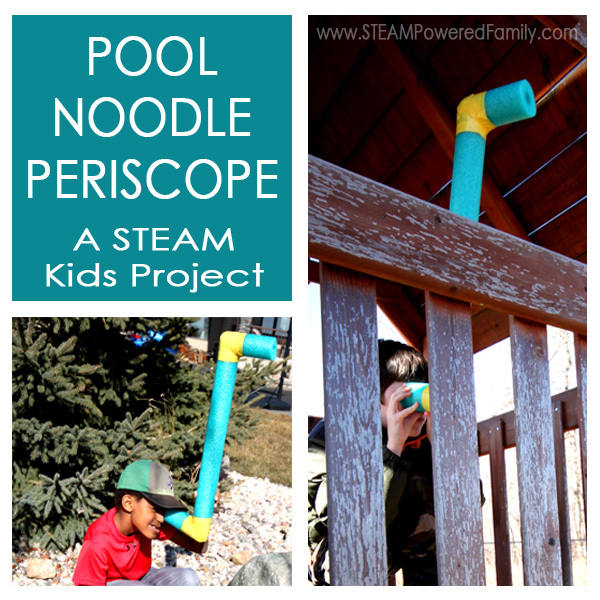 Hey so I’m currently trying to do this experiment, but i don’t have any corks nor do we have a pool noodle…..any ideas?